Home ~ Avaya IP Office ~ IP Office Release 9.1 - What's New? What's New with Avaya IP Office Release 9.1? The features listed below are available worldwide unless otherwise specified. Not all of the features in IP Office Release 9.1 are supported on all platforms and phones - please see each feature's description for more information. Note: All systems within the solution must be licensed the same: either Select or non-Select. Select is not supported on Basic, Essential or Preferred editions. Server Edition Select Licenses are required to activate new capacities and functionality. 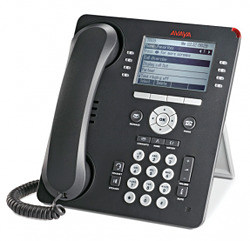 For more information on capacity, see Deploying Avaya IP Office Platform Server Edition. This is just a short list of product enhancements. For the full list, please view the document below. Add your IP 500 Expansion Modules and Cards here!